‘UFGem’ | Florida Foundation Seed Producers, Inc. 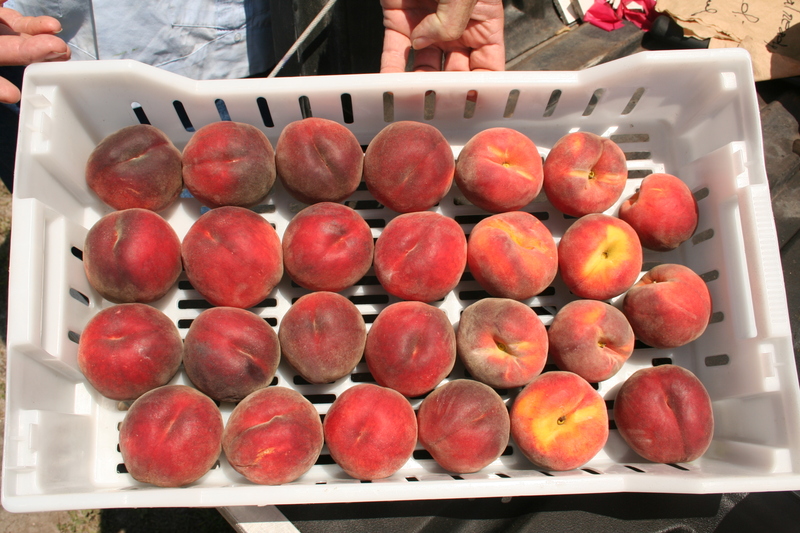 Description: ‘UFGem’ is a yellow-flesh, non-melting peach cultivar released in 2013. ‘UFGem’ fruit are medium to large, and have a near 100% red over a yellow ground color. There is no red pigment in the flesh at the pit. ‘UFGem’ is adapted to a mild winter climate typical to north central Florida; contrast is made to ‘UFSun’ (U.S. Plant Patent PP14,764) peach. Trees of ‘UFGem’ annually set several times the number of fruit for a desired crop load.